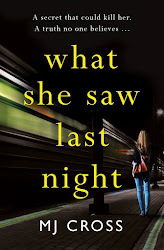 What She Saw Last Night is published today in the UK! What She Saw Last Night, my first ever standalone thriller after five books in the Carter Blake series, is published in the UK today. I hope you like it. If you do, please consider leaving a short review. These days, customer reviews are more and more important in deciding what books are promoted, which get supermarket slots etc, so every one helps! Where's the best place to leave a review? The honest answer is Amazon - personally, I'm happy with whatever way you want to get my books: Waterstones, an independent store, the library, second hand shops, but if you're looking for the place where reviews have most traction, that's the one. A secret that could kill her. Jenny Bowen is going home. 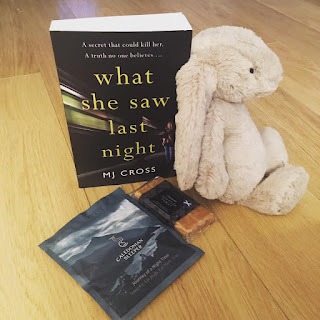 Boarding the Caledonian Sleeper, all she wants to do is forget about her upcoming divorce and relax on the ten-hour journey through the night. In her search for her cabin, Jenny helps a panicked woman with a young girl she assumes to be her daughter. Then she finds her compartment and falls straight to sleep. Waking in the night, Jenny discovers the woman dead in her cabin ... but there's no sign of the little girl. The train company have no record of a child being booked on the train, and CCTV shows the dead woman boarding alone. The police don't believe Jenny, and soon she tries to put the incident out of her head and tells herself that everyone else is right: she must have imagined the little girl. 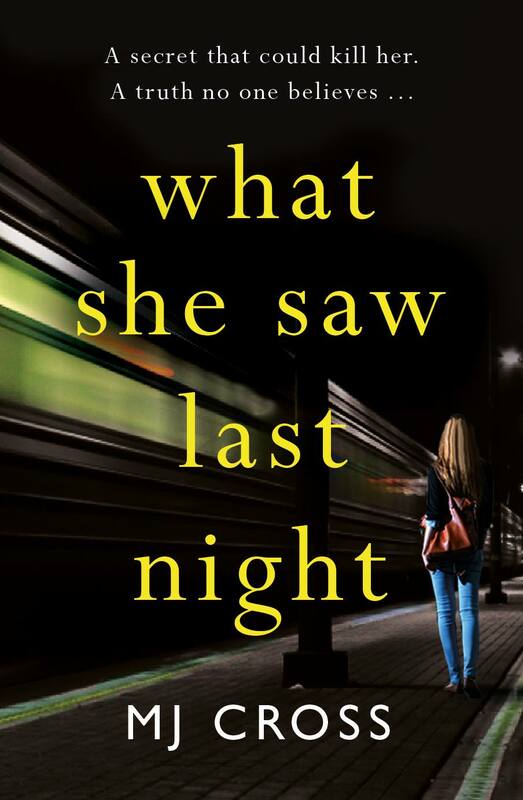 What She Saw Last Night is published in the UK and some other teritories in just four days! (He's called Bye Bunny, and he plays a small but crucial role in the novel). The winner will be picked on Thursday. Delighted to say I've got tartan noir bestseller Craig Robertson to do the Q&A at the official launch of What She Saw Last Night, which is going to be held in Waterstones Sauchiehall Street. The last time we did this, I was launching The Samaritan in 2015, and he flummoxed me with a surprise pop quiz. I'm confident he'll have something equally unpleasant in store this time. Tickets are free, but please register for them here if you're coming. I'm looking forward to a couple of festivals over the spring. I'll be at Crimefest in Bristol as usual, and delighted to be going to Noireland in Belfast for the first time - hope to see some of you at one of these. James Bond has endured as one of the great icons of the thriller genre but how has he influenced modern thrillers and what are the challenges of writing about Secret Service agents for 21st century audiences? James Swallow is the bestselling author of Nomad, whose MI6 agent, Marc Dane, is more comfortable behind the computer than punching bad guys. Asia Mackay’s Secret Service assassin, Lex Tyler, is just returning from maternity leave, determined to prove she’s still up for the job . . . just as long as she can find her Glock under the pile of nappies. And Douglas Lindsay introduces us to DI Ben Westphall, an ex-MI6 agent with a knack for getting into people’s heads. Moderated by Mason Cross. Author copies time! 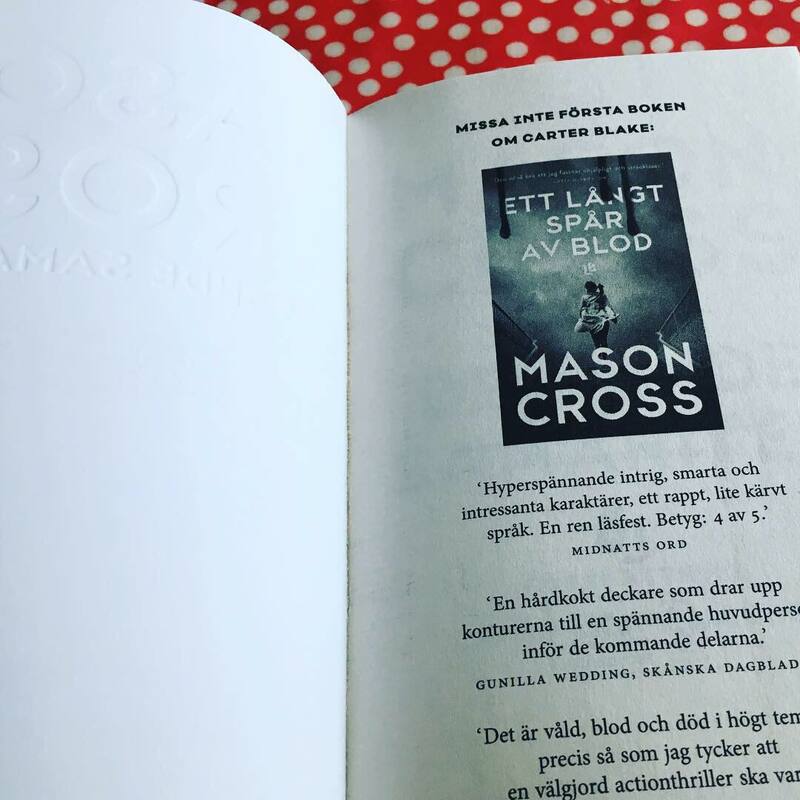 I always love getting editions from other countries to see how the book looks on shelves across the world. 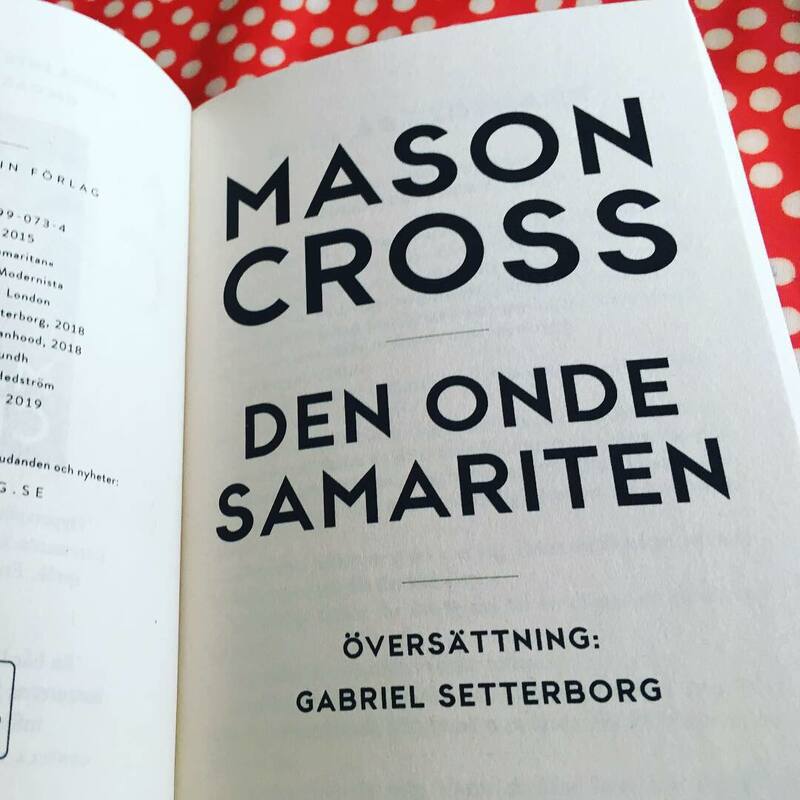 This is the Swedish paperback edition of The Samaritan - titled Den Onde Samariten (The Evil Samaritan). If you're in Sweden, it's on sale now. 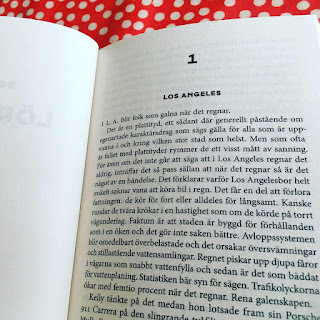 Glad läsning! It is really strange that such an exhausted plot as the hunt for a serial killer can become so infernal exciting. Another remark is that authors of this very American genre are a Scot from Glasgow who embraced the really hard-boiled style that for seven, eight decades was introduced by Frank Morrison "Mickey" Spillane, among others. 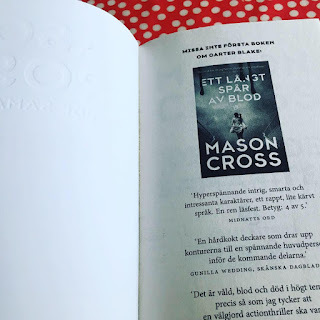 You are drawn very quickly into the evil Samaritan, Cross other thriller after last year's A long track of blood that introduced the human hunter Carter Blake. 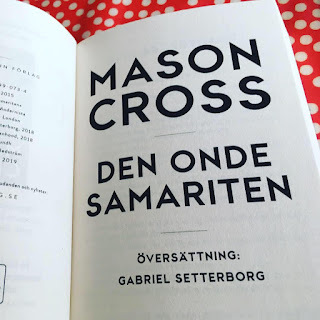 The title comes from the fact that the serial killer got the nickname Samariten by offering help to women who got a motor stop, but instead of assisting he tortures his victims before cutting his neck with a saw-toothed knife. In the United States, such crimes have become a frightening reality along long and solitary routes of highway and according to the police, they are difficult to solve. 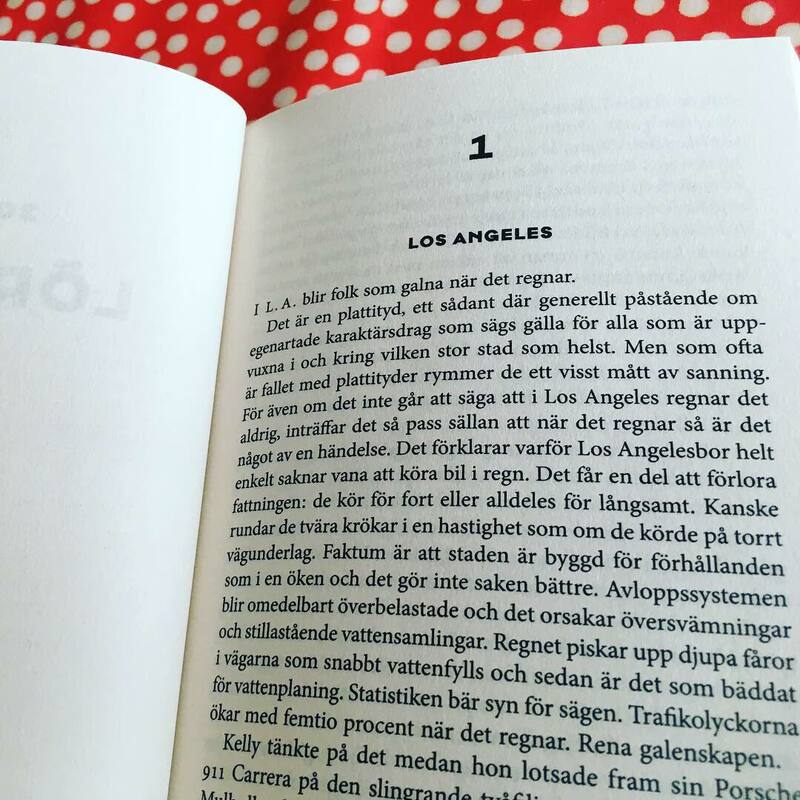 When a landslide exposes the bodies to three victims in the mountains near Santa Monica, the Los Angeles police investigator Jessica Allen is summoned, and this is not the first time she has seen anything like it - though on the other side of the continent. No traces, small chances of finding an offender. A little hope is raised when Carter Blake arrives and offers his services, but initially suspicion is apparent. Blake's profile is too good for what they found out about the killer. But it turns out that the helper is a veritable track dog with a slightly scary ability to figure out the next Samarit's trait. And such comes when the killer raises his job to new, frightening levels. It is unpleasant but so exciting and temples that you do not want to stop reading, both about the hunt itself and about the protagonist's past that is about to set it up for him. Mason Cross was born in 1979 in Glasgow, where he still lives with wife and three children. His previous book was nominated for Theakston's Old Peculier Crime Novel of the Year. One doesn't need a load A long track of blood to keep the evil Samaritan . The books are independent of each other but if you want to know Carter Blake better (I think one wants it) it doesn't hurt to read the debut - and the following. Because there will be more.